FS Investments, a leading alternative asset manager with approximately $24 billion in assets under management, has hired Robert Stark as Senior Managing Director of Corporate Development. His responsibilities will include developing and implementing the firm’s strategic plan and supporting the expansion into new sales channels, both domestically and internationally. Mr. Stark will split his time between the firm’s New York and Philadelphia offices and serve on the Executive Committee. In his most recent position at J.P. Morgan Asset Management, Mr. Stark oversaw J.P. Morgan’s response to the Department of Labor’s Conflict of Interest rule. Prior to that role, he was Head of Global Strategic Relationships, U.S. Funds, responsible for national account relationships across all distribution platforms. Mr. Stark previously held the position of Global Head of Strategy and Business Development at J.P. Morgan Asset & Wealth Management, where he oversaw long-term strategy and worked to improve the operating performance of each business. 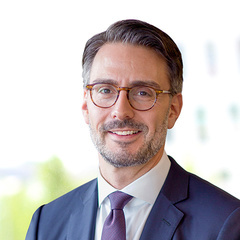 Earlier in his career, Mr. Stark served as Global Head of Strategy and M&A at Russell Investments, Inc. and as a Partner with McKinsey & Company, where his international consulting practice focused on the financial services industry. Mr. Stark is a graduate of the University of Cologne where he studied strategic management, finance and logistics.